ArtsWest and Balagan Theatre are excited to announce the joining of forces this fall for the Seattle premiere of Dogfight. This will be the second of the season for both companies and the first collaboration between them. ArtsWest and Balagan Theatre are looking forward to this exciting opportunity to work together and to continue reaching out and fostering new relationships. Based on the 1991 Warner Bros. film, Dogfight is the romantic and heartbreaking story of three young marines in 1963 on the eve of the deployment to the small but growing conflict in Vietnam. Their last evening of fun and debauchery has a cruel edge and Eddie Birdlace enlists a sweet but awkward waitress, Rose Fenny, to join him at the party that night. Rewriting the rules of the game she has become a part of, Rose teaches young Eddie the meaning of compassion. With music and lyrics by Benj Pasek and Justin Paul (EDGES, JAMES AND THE GIANT PEACH, A CHRISTMAS STORY) and Peter Duchan (STU FOR SILVERTON), the show won critical acclaim in New York and received the Lucille Lortel Award for Best Musical in 2013. Dogfight veers from intimate and intense to wildly energetic. 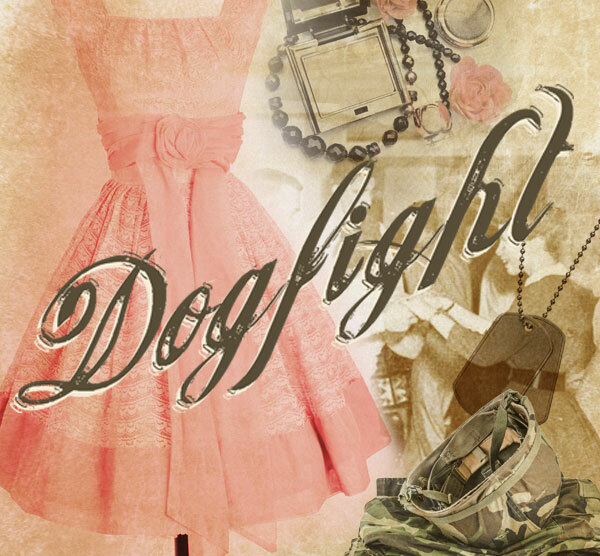 ArtsWest and Balagan Theatre will present Dogfight October 23 – November 22 at ArtsWest Playhouse and Gallery in West Seattle. Tickets will be on sale August 1. Dogfight will replace the previously announced productions of Bad Apples in Balagan’s season and The Pride in ArtsWest’s season. This entry was posted on Friday, August 1st, 2014 at 12:02 pm	and is filed under General.